A staff member in U.S. Rep. Randy Hultgren's district office has been fired after a police report surfaced saying the aide was found shirtless inside a car with a teenage boy last October. 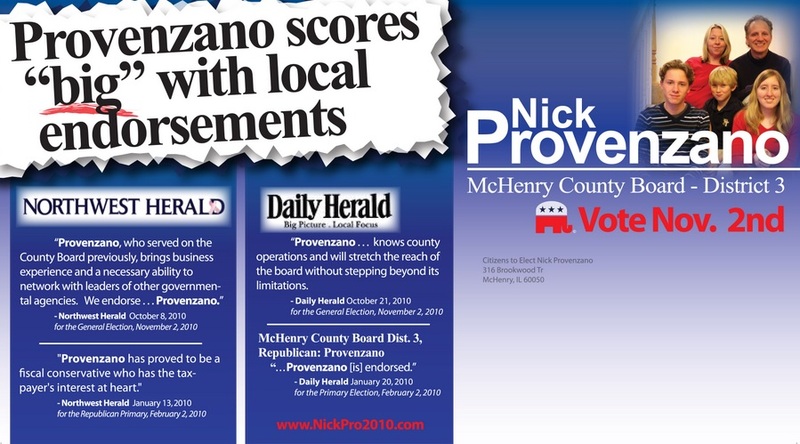 Dominic "Nick" Provenzano, who's long been active in the Republican Party in McHenry County and served on the County Board, was terminated Monday as deputy district director, a Hultgren spokesman confirmed. Note to Ops: Don't be coy. Let's see some of that McHenryCountyBlog sort of love!